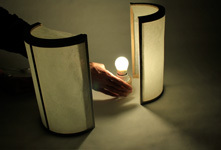 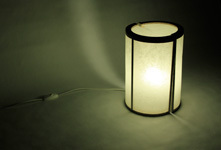 Splitlight is a lamp shade made out of oak wood and rice paper. 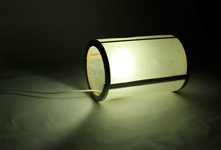 The shade is formed like a cylinder divided in two halves and the lamp is placed between them to create contrasting lines from the wood structure inside. 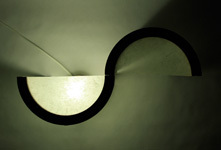 The design invites the user to be creative and place the shade in any desired way to create different light effects.